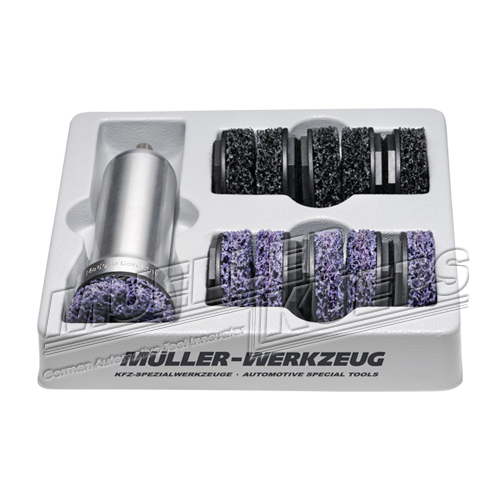 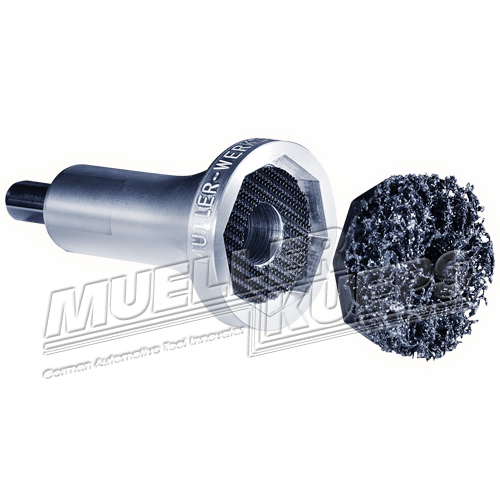 Special grinder is used to clean the wheel rim ­contact surface, ­designed for vehicles with stud bolts. 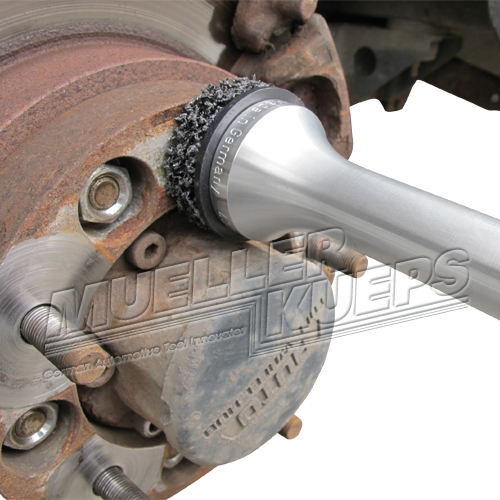 Corrosion is quickly and easily removed. 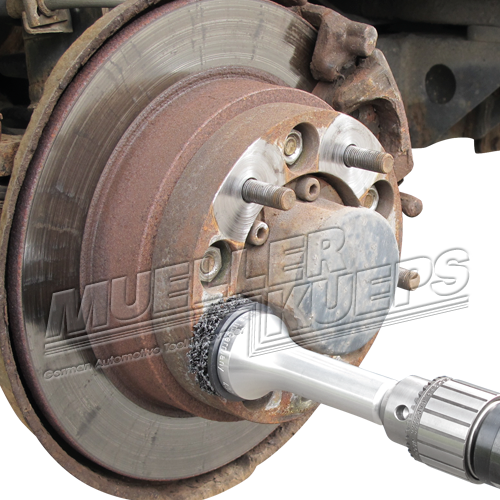 This tool will fit heavy duty trucks.